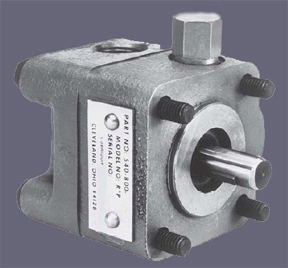 The MeterFlo gear pump discharges 9 to 161 in³ per minute at 1140 rpm and 14 to 245 in³ per minute at 1725 rpm. The maximum pressure is 1500 PSI. The MeterFlo pump comes in eleven different models.